Russian stocks are expected to open higher Monday amid improved investor sentiment in the US and Eurozone. ­Russian markets closed in the red Friday following a decline in oil prices. The MICEX shed 0.4% and the RTS lost 0.76%. European equities extended their gains on Friday after German Chancellor Angela Merkel pledged during a visit to Canada to save the Euro. An unexpected uptick in US consumer confidence also boosted indices. The Stoxx Europe 600 rose 0.6%, supported by gains in the banking sector. 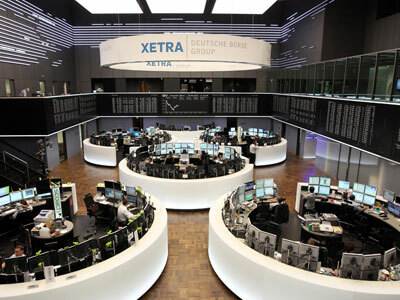 The Spanish IBEX 35 index added 1.9%, the German DAX 30 advanced 0.6% and the French CAC 40 inched up 0.2%. US stocks rose slightly Friday over news that the University of Michigan-Thomson Reuters index of consumer sentiment had risen to 73.6 in August, from a July rating of 72.3. 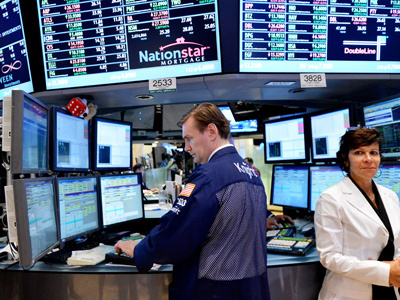 The Dow Jones and the S&P 500 both advanced 0.2%, while the Nasdaq climbed 0.5%. Asian markets posted mixed trading returns Monday after making gains late last week. Hong Kong’s Hang Seng Index traded flat, the Shanghai Composite lost 0.9% and the South Korean Kospi shed 0.7%. Australia’s S&P/ASX 200 rose 0.8% and Japan’s Nikkei gained 0.5%.